Description: Do you want to try on some casual cosplay? 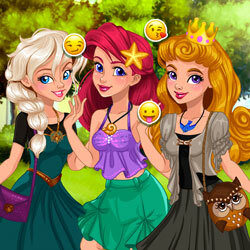 These three bffs styled their hair and are now ready to go shopping for the perfect modern princess outfits! Can you help them pick out the best outfits and jewelry to match their chosen princess look?